JMT designs and services quality metal fabrication Machine Tools for a wide range of sheet metal and structural steel working applications that include bending, cutting, drilling, punching, shearing and welding positioning. 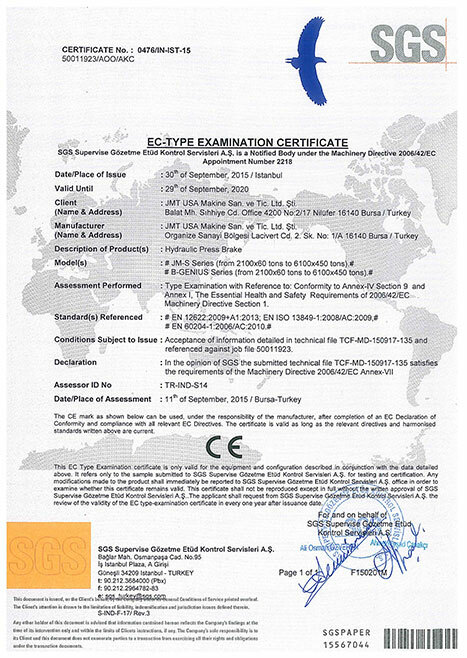 that have extensive experience building Machine Tools for some of the leading brands in the industry. JMT is supported by an ever expanding team of industry professionals, which include experienced product design engineers, sales consultants and veteran service engineers. 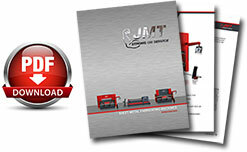 JMT also has a resourceful parts and tooling department to keep your machines working at optimal performance. A team of JMT sales and service professionals are located across the United States to service customers quickly. 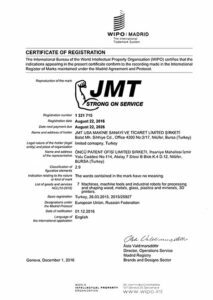 JMT also has a sales, service and engineering office and manufacturing plants in Bursa, Turkey which covers Europe, Asia, Middle East, South America, Africa and Australia. 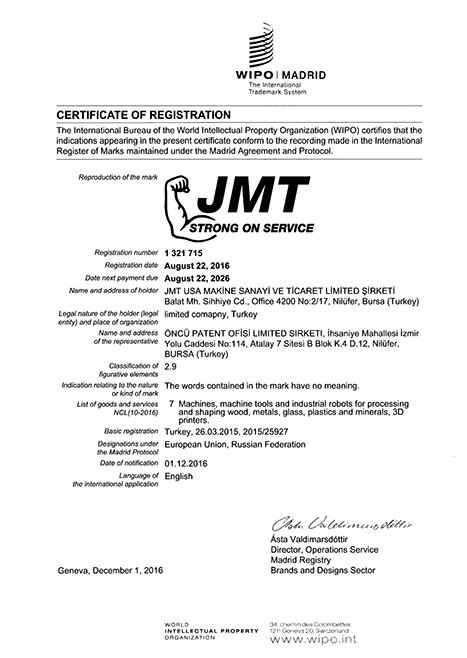 Worldwide network of 48 select distributors trained to sell and service JMT machines are strategically located to provide the fastest response times to our customers. JMT product designs combine accuracy, speed, ﬂexibility, durability, reliability and advanced technology to deliver machines with the highest performance-to-price ratio in the industry.